Well, I, too, owe quite a bit of what I know to Rudi de Sarigny (had no idea she was a Baroness! ), but I had never heard of Margaret Hutchings. 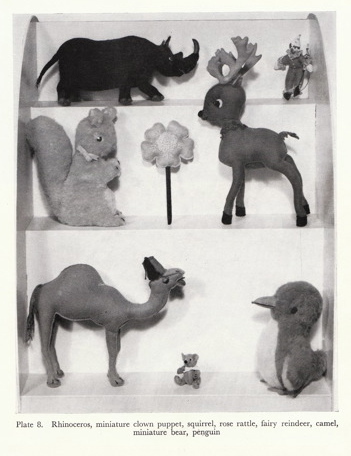 A quick Amazon search led me to a book I’d never seen before, Modern Soft Toy Making, written by Margaret Hutchings in 1959. I love that I can find and order any used book through Amazon. All of the books on soft toy design are out of print (which is why I’m writing one!) so this is fantastic for me. A few weeks later, the book arrived from the UK. Despite some very outdated cultural references, I am loving this book and I feel like I’ve just met a new colleague. The author of this book was clearly intensely focused on soft toy design, found it fascinating and found great joy in exploring all of its possibilities. In fact, she sounds just like me! Nice to meet you, Margaret Hutchings! I think we would have been great friends! Nicely done. There are diagrams for play food, for felt flowers (including a daffodil much like my own) and several dozen toys. And the rhino. Several of her patterns give variations and include the pattern pieces to make that same toy body into an entirely different finished design. These three birds are all made from the same basic pattern pieces. I haven’t sewn any of her patterns yet, but I will. It is a rare find to get a soft toy design book that I haven’t seen before. If you know of any that you don’t think I’ve seen, I would love to hear about them! i have the margaret hutchings book, got it from a local charity shop (thrift store to you!) for about £1. the picture of the swan with the bull rush (plate 6) gave me ideas for my own book. i have another of her books, ‘modelling in hessian’ which is an interesting take on toy making, it’s mainly figures but there are a few animals in there. I got a fun Teddy-bear making book from a used book sale recently and it was old and British, lol….I’ll go dig it out and tell you the name and author later. I haven’t read it all but it had lots of useful tips in the portions I did read about things like embroidering eyes & noses versus sewing them in and such. 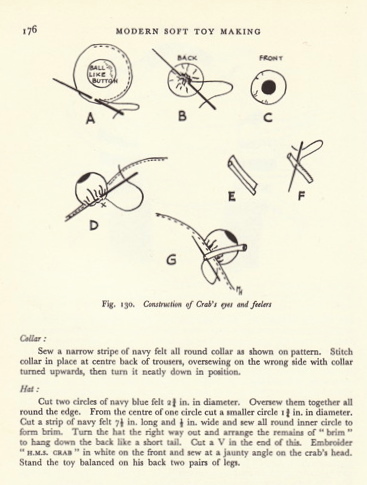 Ok found it: “Teddy Bears and How to Make Them” by…. Margaret Hutchings!! Go figure! It’s from 1964 and is half how-to and half bear patterns along with a Goldilocks doll pattern (for a complete 3 bears story set). I have Modelling in Hessian, and have made many pieces from it, including the entire Nativity scene, complete with sheep! I have a book by Margaret Hutchings called “Toys from the Tales of Beatrix Potter.” Some of the toys are soft ones you can play with, while others are more decorative. The pattern pieces and diagrams are all hand-drawn as well, and it even includes clothes and props. My grandmother gave it to me, but I don’t know if she bought it, or found it in a thrift store. I love the camel’s fez, very sweet. I love the vintage books and have quite a few. Thanks for adding a few more to my wish list. The deer reminds me of the Rankin and Bass Christmas specials. 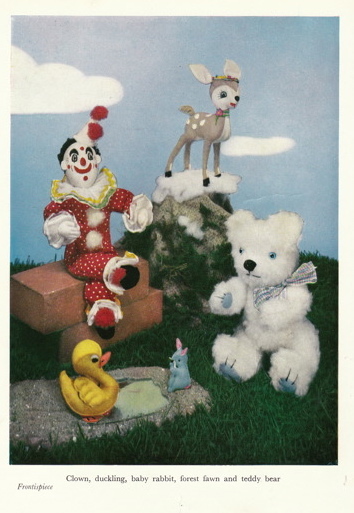 I wonder why all of the stuffed toy making books are out of print? It must be so satisfying to be working on a book that is going to fill such a void in the crafting world. I hope you’re planning on selling autographed copies through your site. I know that I would be interested and I’m sure others would too. I have the Beatrix Potter book…it’s just lovely. I now aspire to get Modern Toy Making! Thank you for the book review! I’ll have to try to get my hands on some of those titles by Ms. Hutchings. I am already a big fan of Rudi de Sarigney (Baroness?! ), so it’s nice to have more references to be on the look-out for. There are several really fantastic (and unfortunately out-of-print) soft doll making books that I love. A really good one for very basic doll making (including a wonderful lesson in yarn hair) is “Designing and Making Dolls” by Ilse Gray. And “Making Dolls for Pleasure and Profit” by Anita Holmes is a really fun one with some very interesting jointing and construction ideas. Thank you, Abby for your blog and the wonderful reference that it is, as well! so funny i just discovered margaret yesterday. my nana mailed me a little cut out booklet that looks very old there are some toy patterns in it and within the text there was mention of this book. after a google search here i am! i have a few more tabs open to explore. hopefully one day i will have my own copy of this book too – it looks like a super reference book! Hi All, A friend from the past e mailed me details of this. I am one of Margaret Hutchings sons and as you can imagine beyond retiring age! My mother was devoted to toy making and very talanted,I have 28 different books that she wrote. (She was also on T.V. several times), and won many international awards for her work.I also have many of the originals from Beatrix Potter, Alice In Wonderland and several other of the books. Many of the manuscripts were given to an American College but I can’t remember which one. 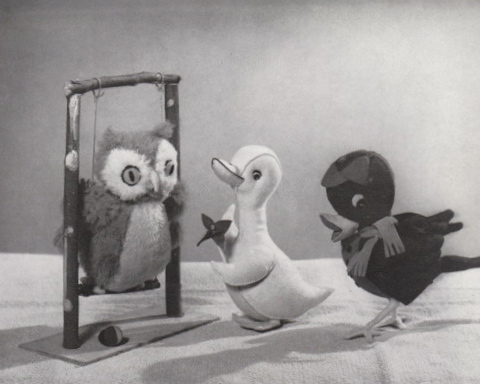 The original toys are of course made from various materials that really need looking after very carefully, I have offered them on permenant loan to a Toy Museum but they were not interested. Any sensible suggestions welcome. Without seeming nasty please all note the my brothers and I own the copy-right and intelectual property regarding all my mothers affairs. I have recently asked someone if they are interested in re-publishing the books if we could get the contents up-dated. If anyone wants to comment, Google chris hutchings, curtains to find my contact details. I am not into twitter or anything like that, not clever enough! I love the photos and the information alongside. I will definitely buy this book. I hope I can create as good as the ones illustrated as stuffed animals reviews.